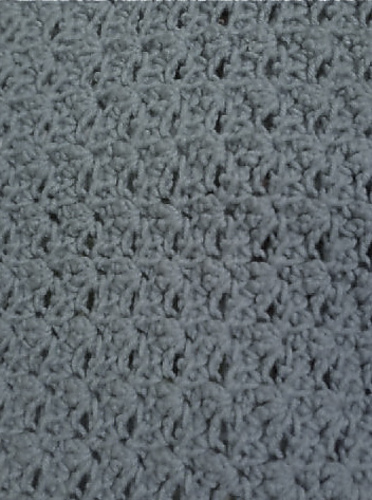 I decided I wanted to make an easy crochet blanket but one that looks elegant with minimal work. I use to change bedspreads when I was younger like a disposable napkin. My mother would not allow me to paint my room or rearrange the furniture, so I changed bedspreads a lot. 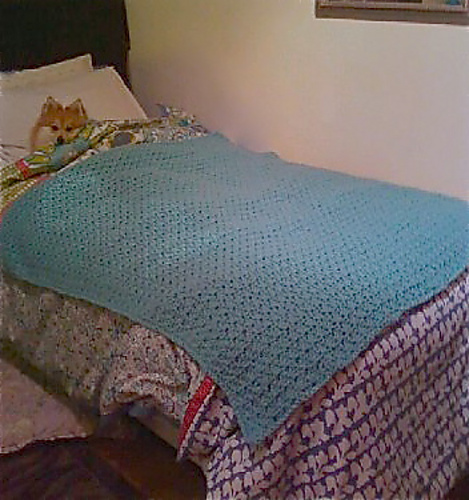 Finally, I found a bedspread that I love and wanted to make a blanket to match! With ease, it came out looking marvelous! Row 1: *Skip first two stitches, 3 DC in third stitch, skip next two stitches,* repeat until last stitch. Ch 2, turn. Row 2: Skip first stitch, *DC in every stitch across*. Once you reach the last stitch, DC then ch 3, turn. Repeat rows 1 & 2 until desired length. SC all the way around the blanket for a nice finishing touch. What size did this come out to? It’s gorgeous!